The independent benchmark DxOMark has given the Samsung Galaxy S10+ first place in its rankings for smartphone front cameras. At the moment, there are only 13 devices in the new selfie chart but Samsung has beaten out contenders from Google, Xiaomi, and Apple. The S10+’s front camera system was commended for its accurate autofocus and color capture. 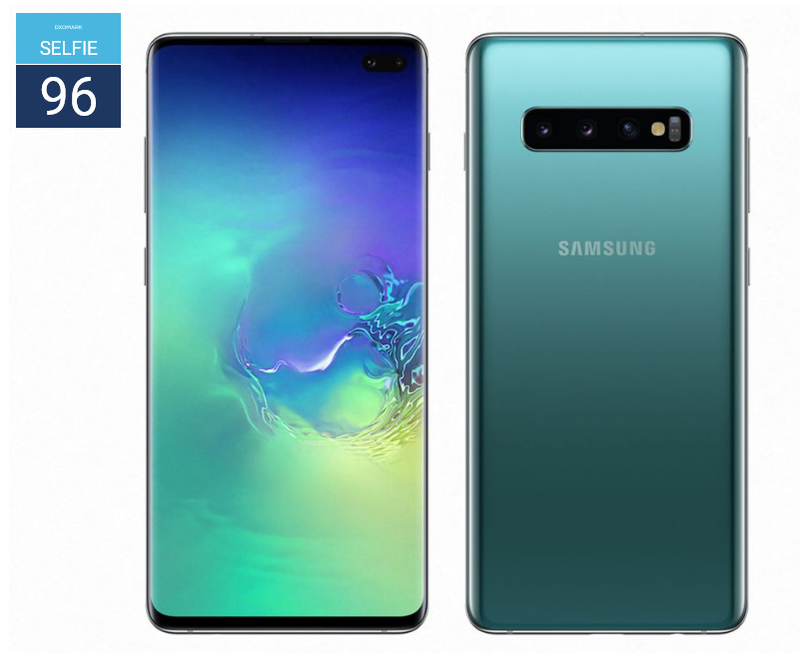 DxOMark has been singing the praises of the dual front cameras found in Samsung’s new Galaxy S10+ flagship smartphone. The dual selfie system scored 101 points for photo and 88 points for video, giving a final DxOMark Selfie test score of 96. This puts the S10+ at the top of the rankings for selfie cameras, with the Google Pixel 3 and Samsung Galaxy Note 9 trailing closely behind with 92 points each. For photos, DxOMark listed pros such as well-controlled noise, good exposure, and good details at varied shooting distances. There were cons for the S10+ though, like issues with dull colors in low light and some highlight clipping. But overall, the 10 MP + 8 MP sensors performed admirably, with the testers being especially pleased with the flash modes. It’s not surprising that the Samsung Galaxy S10+ topped DxOMark’s Selfie chart with its dual front camera setup that allows for depth sensing and offers the ability to create bokeh-effect selfies. The smartphone also scored well for video performance, thanks to effective image stabilization and general accuracy, although some choppiness was reported. The S10+ also scored the most video selfie points, so in selfie terms the Galaxy flagship is DxOMark's current undisputed champion.